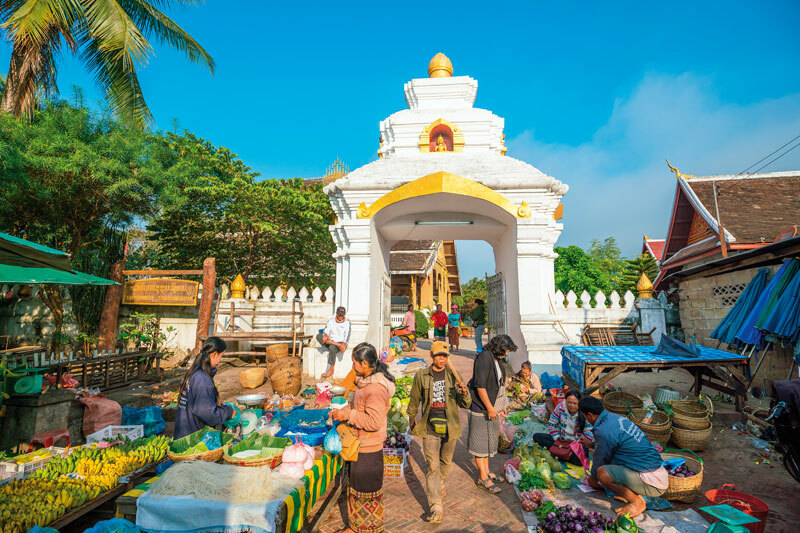 There is no better way to get into the skin of Luang Prabang food culture than to visit a market supplied with nearby foraging. Hidden away in a narrow passageway, the marketplace buzzes with life … and death, for fresh kill every morning when vegetables, the daily catch and fresh meats are rolled out to sell. For visitors, watching locals bargain over piles of vegetables and animals is an eye-opening experience. Vendors offers exotic fruits not typically seen elsewhere in Laos, not to mention the local edible fungi such as the egg mushroom. Other local delicacies include jerky sticks of buffalo skin, wild birds and hornet larvae squirming in containers of hexagonal sockets. 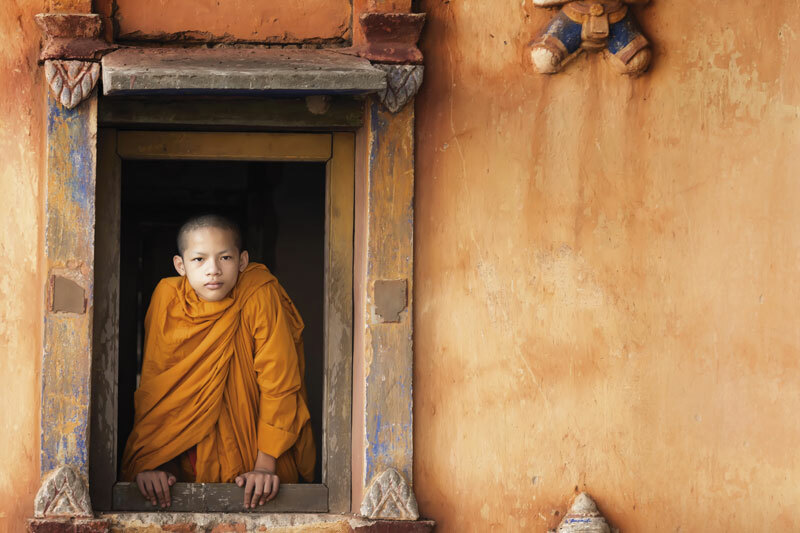 Tucked away in the mountainous valley of northern Laos and sitting at the confluence of the Mekong and Khan rivers, Luang Prabang has kitchens that stock items you won’t find in gourmet supermarkets, but from a fresher source. Food here comes from the river and the wild, whose communities still rely on these resources just as much as hunting, to gather foodstuff to put a meal on the table. 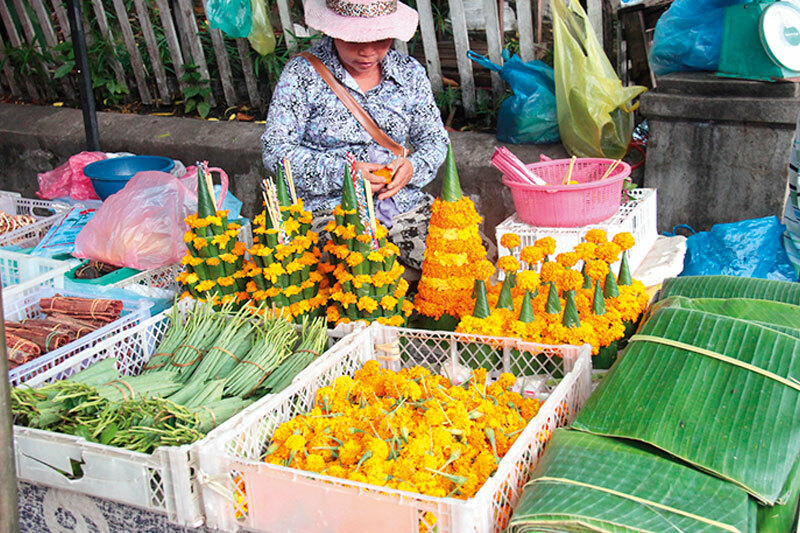 From early morning to midday, vendors offer a plethora of local delicacies. Modest in one way, yet shocking in its authenticity – the market is well stocked. Piles of banana flowers, cowpeas, bamboo shoots, wild mushrooms, watercress and balls of river weed dominate the stalls. Squirrels are displayed with their bodies cut open to show the freshness of their entrails. And there’s plenty of fish from the Mekong River, some of them as big as a pig. A short walk through Luang Prabang food market takes you back to a time when food didn’t come from packs in the supermarket. Along the small alleys, buckets overflow with rice, fresh vegetables, fruits, sheets of river weed, wild mushrooms, Mekong fish and beehives. Here, there is no fancy display. The vendors ply their trade using flimsy plastic bags. However, the visual display of colourful spices and vegetables will stop you in your tracks. Green balls of river weed or rock algae, are ubiquitous and common in the Luang Prabang food market. The locals make very thin sheets of sun-dried river weed and sprinkle it with tamarind and ginger juices plus sesame and garlic before deep frying them. Nutty and salty, the deep-fried river weed is perfectly paired with diced buffalo-skin and hot sauces. 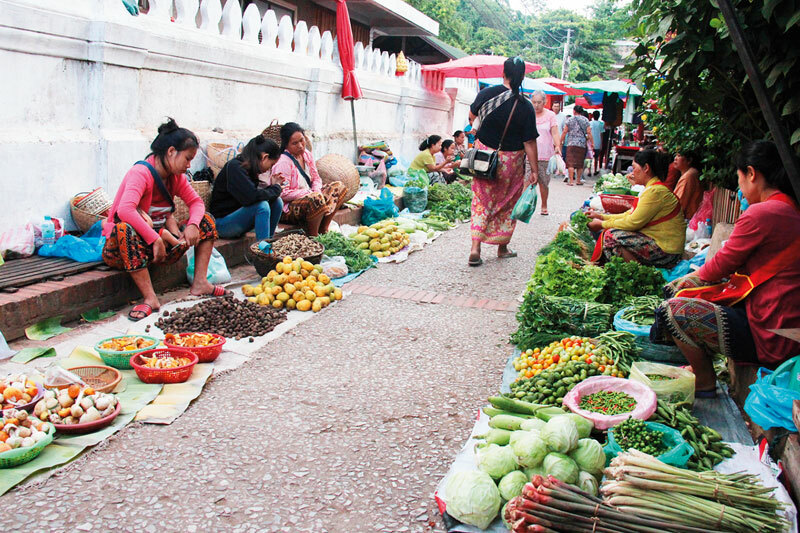 The Luang Prabang food market also offers high doses of discovery. If you look hard enough you will find wasp nests, squirrels, owls, ducks and many other creatures. Some animals are butchered, others are still hopping about.